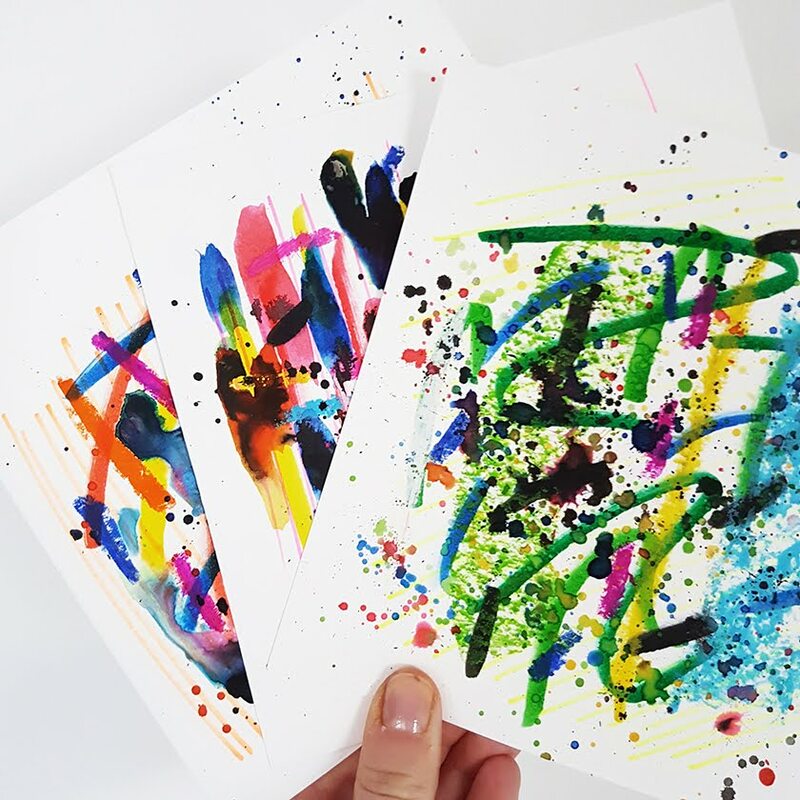 A couple of months ago me and a couple other creative bandits (Vanessa and Katie) started on a little journey, creating and gifting collaborative zines. 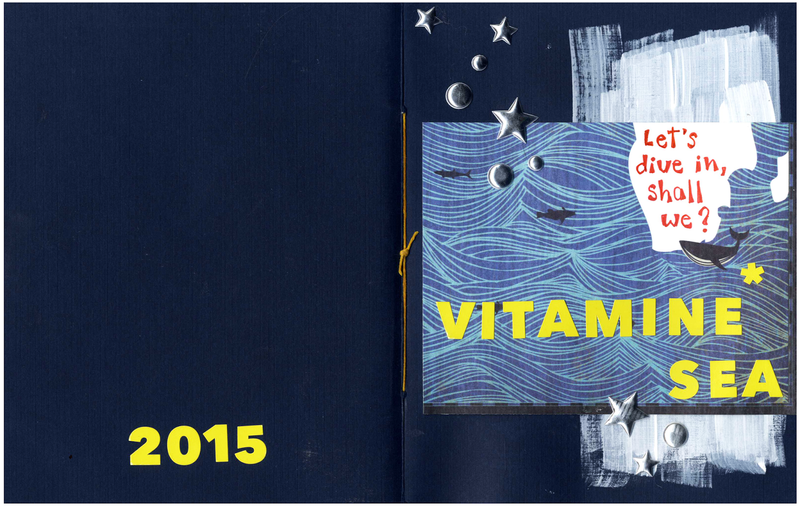 Our first edition was Space Camp that went to lovely Caylee in August and our second is this; Vitamine Sea. 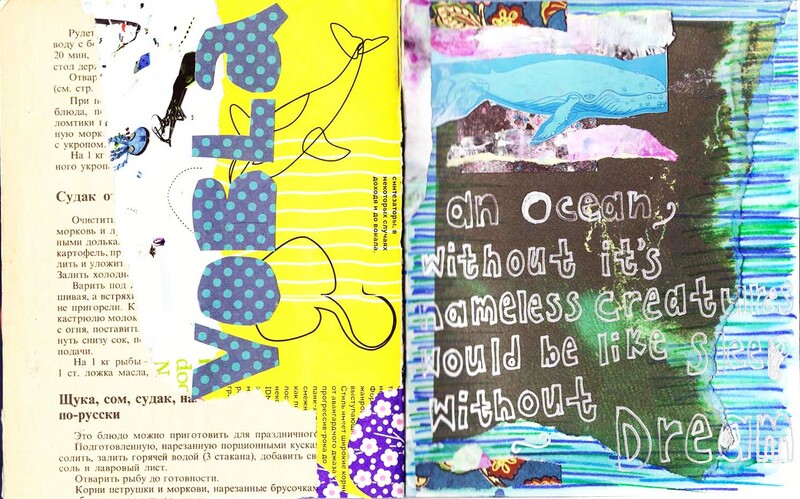 This zine was for Lauren, the co-creator of Get Messy Art Journal alongside Caylee. 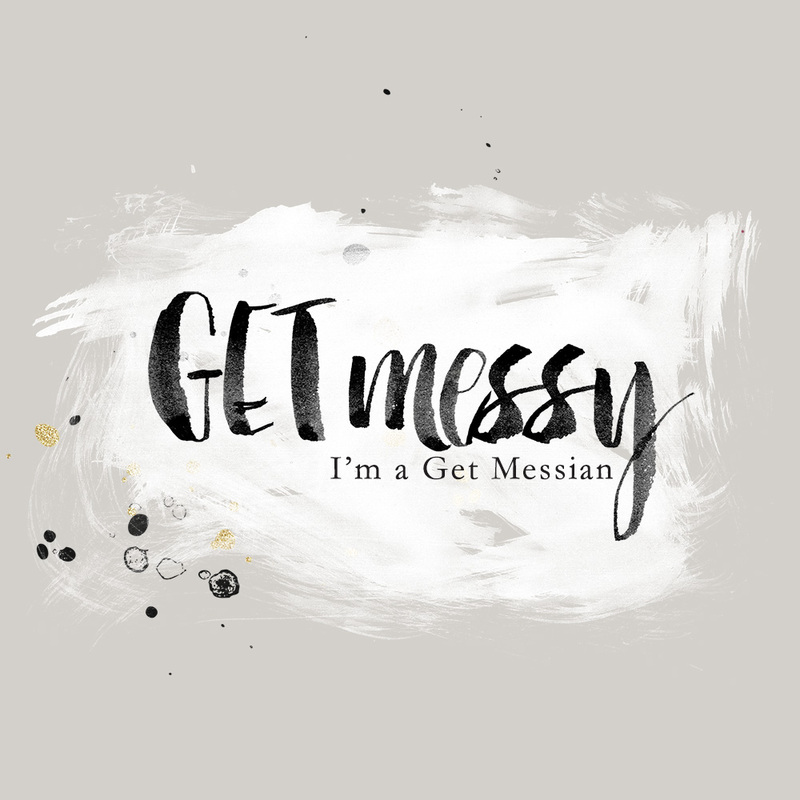 We wanted to give something back to these two people who have given us so much through the community of Get Messy. We also recruited two other creatives to work on this zine with us! 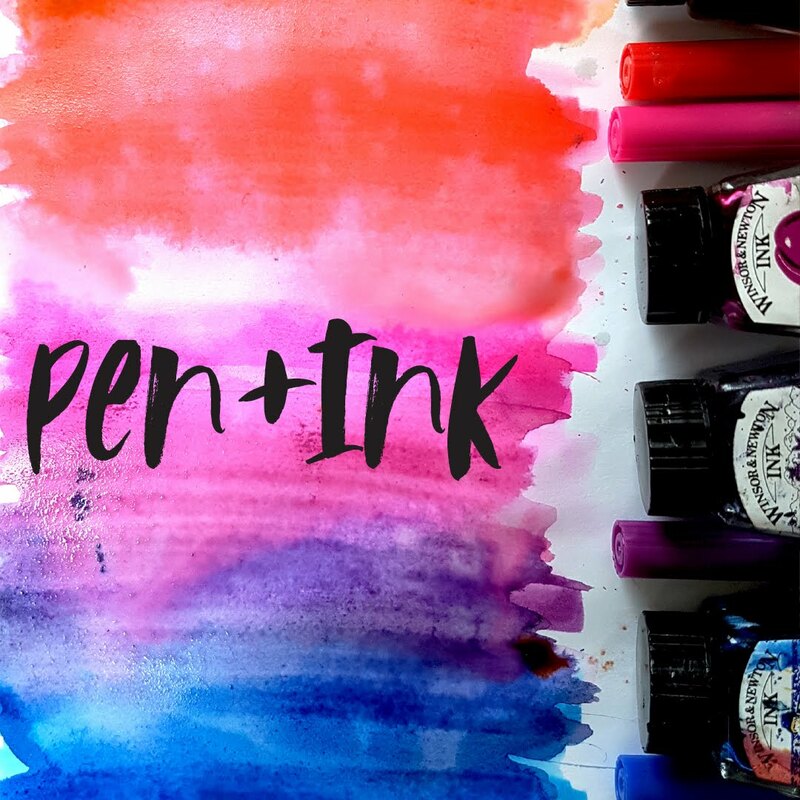 Today we have a blog-hop between all of us, so make sure you check out Kate's, Rebecca's, V's and Katies posts to get a look at all the pages created. 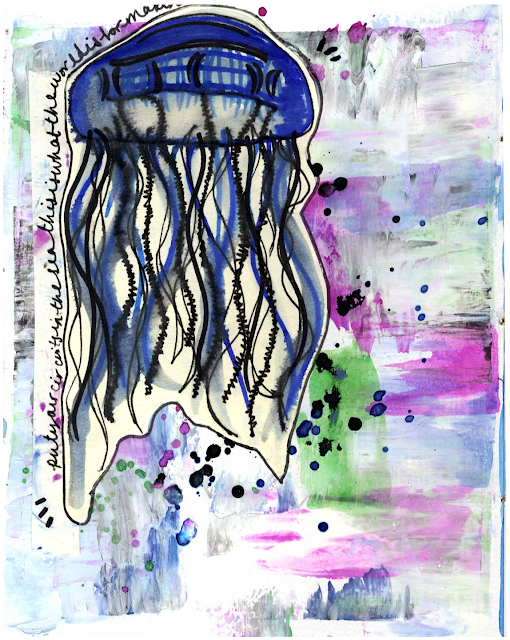 I used the lyrics to MGMT's electric feel around my inky jellyfish and the background is created from white acrylic, ink and a paperchase store card! 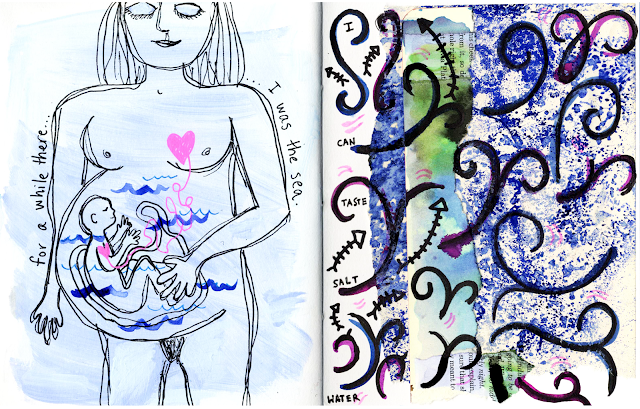 Rebecca added her purple page on the right after mine so to see it finished as a double spread was so cool! 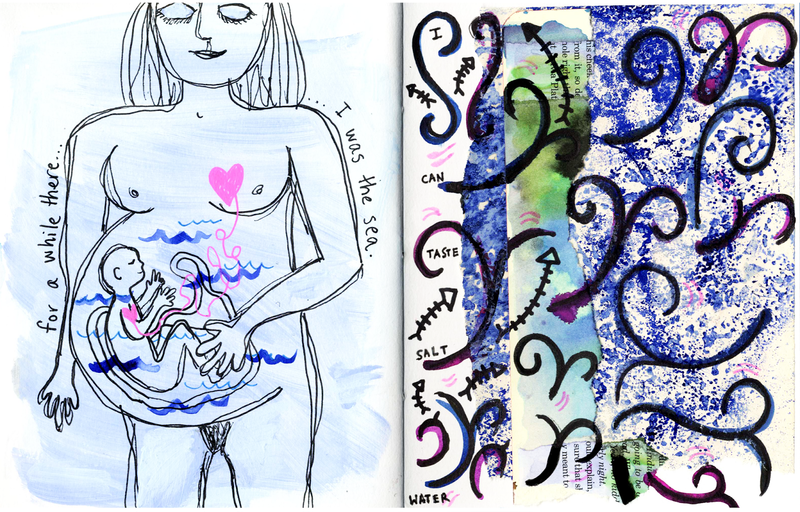 I like how her ripped pieces of paper mimic the jellyfish tentacles and her circle pieces, the ink splashes on mine. These collaborative pages are the best thing about creating international zines like this one. I was lucky enough to of been given the middle spread for this zine. 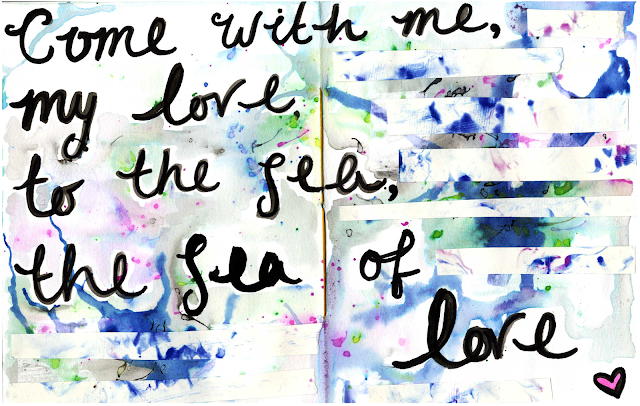 I chose to do a simple, marbled effect around the lyrics to Cat Powers song "Sea of Love". 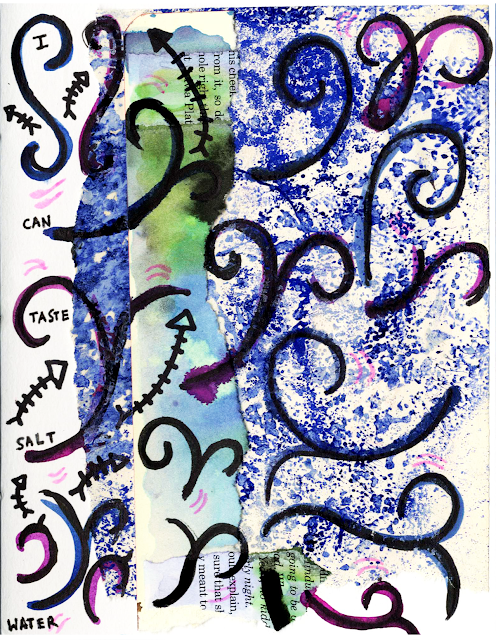 "I can taste salt water" as an answer to Vanessa's page. We were all in the sea once, it's where we began. This is one of my favourite quotes, ever. It explains the fascination and fear I feel towards the sea and ocean. I created my page and then Kate added on her Vobla collage on the left. I just love what she has done, it's so different to mine, yet works brilliantly! Thank you Rebecca, I knew you'd be a good salty edition to this collab ;) Nice to know I'm not the only one freaked out by pregnancy, I'm usually looked at like an alien when I discuss it! 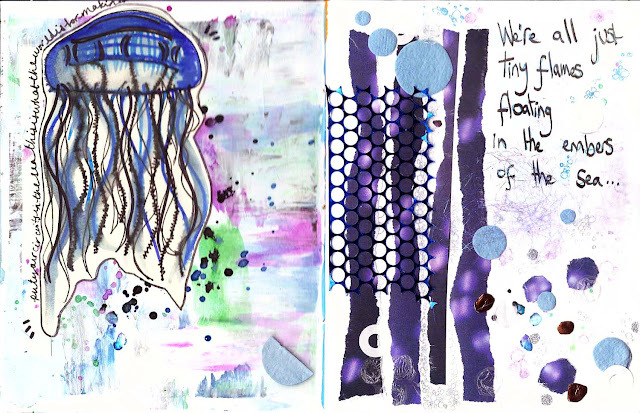 Okay so all of the pages are AMAZING, but I really love your jellyfish!! He's so magical! 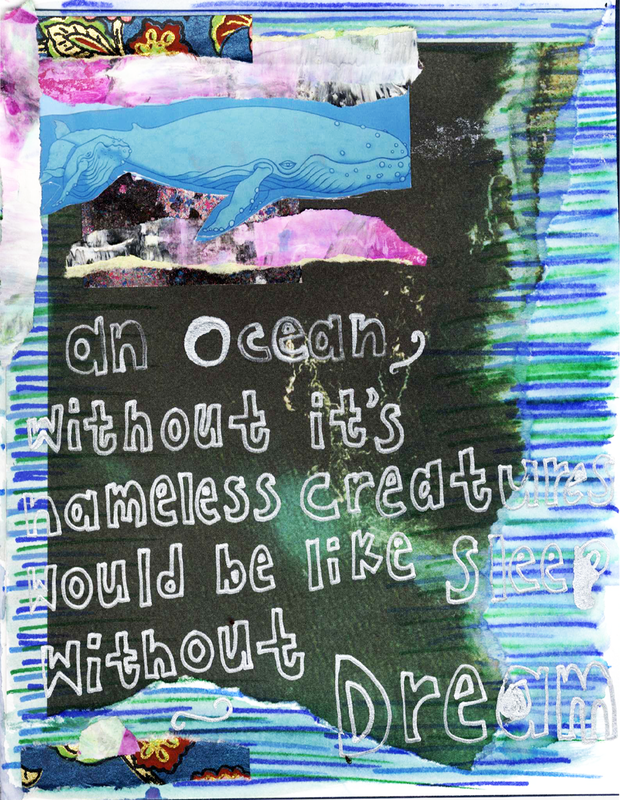 I also love that quote on your ocean/dream page, I'd never heard it before. 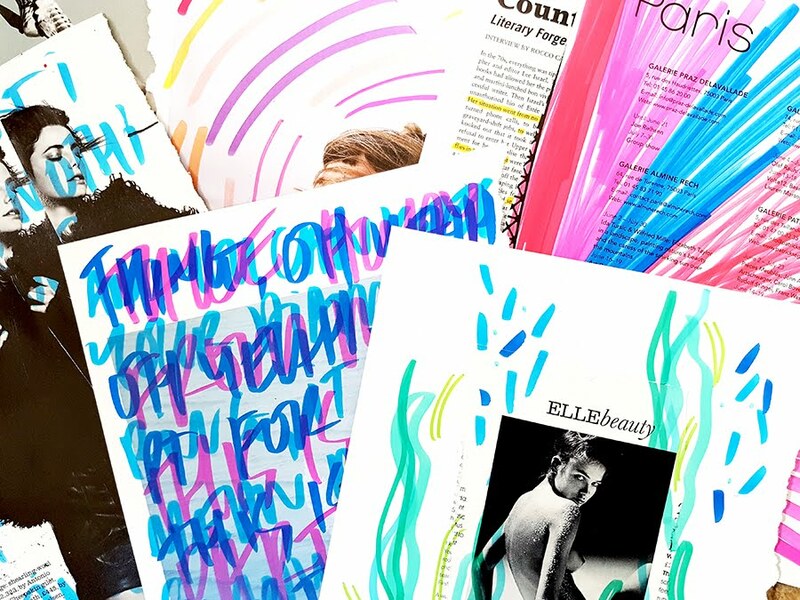 Secret zines & working with you guys is so dang fun!